Researchers have developed a technique to allow breast-cancer surgeons to determine during an operation whether all cancerous tissue has been removed. The research was published May 17 in Science Advances. “This is a proof of concept that we can use photoacoustic imaging on breast tissue and get images that look similar to traditional staining methods without any sort of tissue processing,” Deborah Novack, MD, PhD, an associate professor of medicine, and of pathology and immunology, and a co-senior author on the study, said in a news release from Washington University. 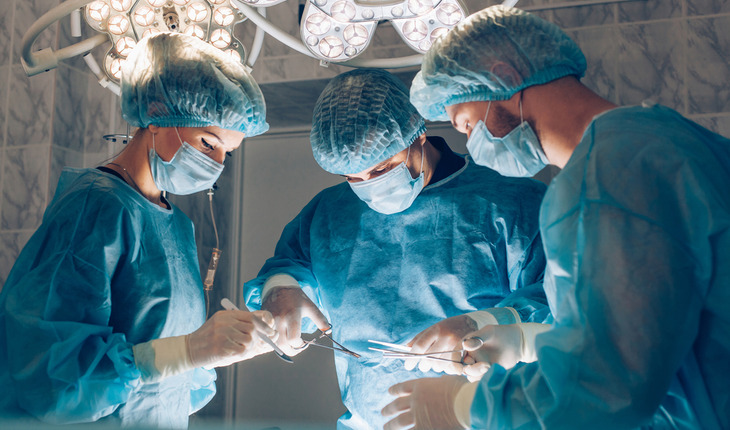 “Right now, we don’t have a good method to assess margins during breast cancer surgeries,” said Rebecca Aft, MD, PhD, a professor of surgery and a co-senior author on the study. Aft, a breast-cancer surgeon, treats patients at Siteman Cancer Center at Barnes-Jewish Hospital and Washington University School of Medicine.